Don’t miss your chance to get the cheapest Antibes car rental deal! Click on the reservation form to find the best Antibes car rental opportunities in one second! Try high-quality car rental Antibes service to add comfort and elegance to your trip. No need to wait, no sense to pay more – book online with the help of our form and your car will be waiting for you wherever you want! 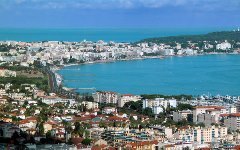 See how many Antibes car rental locations are available, check Must Know and Places to Visit with car rental Antibes! 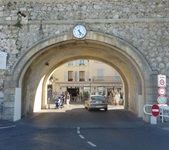 Between famous Nice and Cannes on Garoupe Mediterranean Cape there is small cozy Antibes. Fortified port town, old stone blocks which were overgrown with manicured park-oases, luxury villas and promenades promontory of Cap d'Antibes. Here the "Italian" pebble beaches give way to the sandy ones, flowery streets of the Old City hide secluded gourmet boutiques and craft studios, and the daily morning market on Cours Massena is always full of flowers and the freshest sea, meat and dairy eatables from the local fishermen and farmers. When driving you should stay as close as possible to the right lane of the road, and the left lane can be used for a short period of time to make overtaking. The fastest tracks in the country are toll roads where you can move at speeds of up to 130 km/h. For exceeding the speed you can get a huge fine. It may seem quite unusual that even in large cities there is a big number of streets with one-way traffic. This fact must be definitely taken into consideration while making the route of your trip. The castle was built in the 12th century on the site of Roman fortifications. Picasso worked there for six months, and in gratitude for the hospitality left as a gift the painting "Night fishing in Antibes" and a number of drawings and sketches. 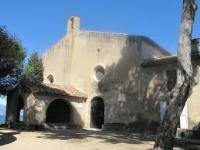 All this became the foundation of the future museum of Pablo Picasso. 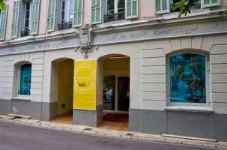 Today there are expositions of the works of Léger, Modigliani, Picabia, Ernest, Cesar, plus sculptures by Miró, Pagès, Arman, Richier. At the heart of the Old Town on the National Place there is a museum of French graphic Raymond Payne called the “Museum of Payne and comic drawing”. Here you can see numerous graphic works with the famous "LOVE": the poet in his bowler hat and a bride with a fashionable hairstyle, as well as some lesser-known works of the artist: sculptures, decorations, porcelain, costumes. In the aqua complex in one of the largest basins in the world are colorful shows with killer whales, seals, dolphins and many other marine fauna. 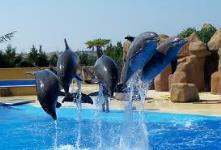 Marineland welcomes guests to its nightly performances. Also here you can walk through the 30 meter long underwater tunnel where guests can see sharks swimming over their heads. Near the Garoupe lighthouse at Cape nestled also a miniature chapel of Notre-Dame-de-Garoupe which holds religious relics brought from Russia during the Crimean War: the icon of "Virgin and Child" of 16th-century, a wooden cross and embroidered shroud of Vorontsov family which were transferred to the chapel by captain Bartholomew Aubert who saved the sacred objects from the burning Sebastopol church. RentalCars24h.com offers you reliable car rental Antibes services that will help you to feel free and independent when moving around the town. 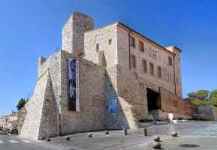 Providing best online prices for car hire Antibes services, RentalCars24h.com allows you to save money each time when you rent a car in Antibes.